The NHL's all-star weekend has come and gone, and for fans of the game's history, the highlight came on Friday night. That was when we finally got a look at the league's heavily hyped list of the top 100 players of all-time. There were plenty of big names, a handful of surprises, and more than a few snubs. 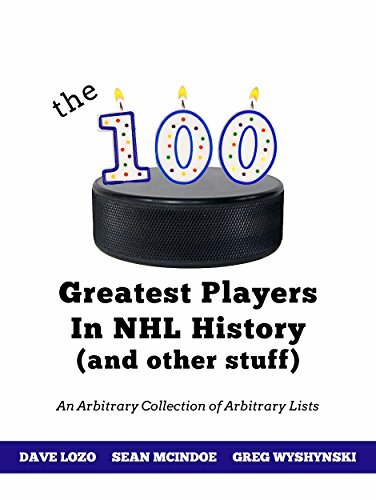 The Top 100 was a fun concept that set off plenty of debate; THN's Ken Campbell released his own list here, and I walked through some of the tougher calls of my own list last week. This week, let's keep the history talk going, but from a different angle. Instead of individual players, let's look at the teams they suited up for. One thing you notice when you put together a list of the top players ever is that the best of the best aren't distributed evenly around the league. For whatever reason, certain teams seem to get more than their share of top talent at certain positions. And in some cases, teams have been lucky enough to wind up with four or more all-time legends manning the same spot in the lineup over the course of their history. Going position-by-position, here are the five best team/position combos in NHL history to feature at least four elite stars. Any of the league's century-old teams would love to be able to boast the amount of talent down the middle that the Penguins have been able to showcase. That they've been able to do it in just over three decades is amazing. True, Francis is associated at least as much with the Whalers/Hurricanes franchise, but he had his most productive years in Pittsburgh. Crosby and Malkin have combined to hold down the NHL first-team all-star spot in seven of the last ten years. And Mario was Mario – quite possibly the greatest pure talent to ever step onto the ice. But as good as that foursome is, they barely hold on to beat out the Oilers. Edmonton holds an edge in terms of their top three of Wayne Gretzky, Mark Messier and Connor McDavid. But a big drop to the fourth spot – Doug Weight? Jimmy Carson? Jason Arnott? – keeps the Oilers out of the top spot. Honorable mentions: Red Wings (Steve Yzerman, Alex Delvecchio, Pavel Datsyuk, Sergei Fedorov); Canadiens (Jean Believeau, Howie Morenz, Henri Richards, Elmer Lach); Blackhawks (Stan Mikita, Denis Savard, Jeremy Roenick, Jonathan Toews); Bruins (Phil Esposito, Milt Schmidt, Adam Oates, Patrice Bergeron); Maple Leafs (Syl Apps, Dave Keon, Mats Sundin, Darryl Sittler, Ted Kennedy); Nordiques/Avalanche (Joe Sakic, Peter Forsberg, Peter Stastny, Matt Duchene); Kings (Gretzky, Marcel Dionne, Anze Kopitar, Bernie Nicholls); New York Islanders (Bryan Trottier, Pat LaFontaine, John Tavares, Pierre Turgeon).